Looking for a dehumidifier to keep your home damp and mould-free but not sure which one to buy? We explain what to consider when buying the best dehumidifier for your home. While you can buy a budget model for as little as £40-£50, expect to pay anywhere from £100 to more than £300 for an efficient dehumifidier. Typically, the more you spend, the larger the dehumidifier’s capacity and the more features it will have. Pros: Cost-effective to run, refrigerant dehumidifiers work best in small to medium-sized rooms and at room temperature. You’ll need to empty the tank of collected water, although some models come with a hose that can feed water directly into a sink or drain. Cons: Refrigerant dehumidifiers can be heavy to move around and noisy in operation. Less efficient at low temperatures, they’re not suitable for use in sheds or garages. Pros: Using filters rather than a compressor pump, desiccant dehumidifiers are much quieter in operation than refrigeration units, making them suitable for living rooms and bedrooms. Anti-bacterial filters mean allergens, dust and bacteria are removed from the air before it’s passed back into the room, and some models offer ‘continuous drainage’ using a hose so there’s no need to empty a container of collected water. They’re also lighter to move around too and can work even at very low temperatures. Cons: Far more expensive to run. 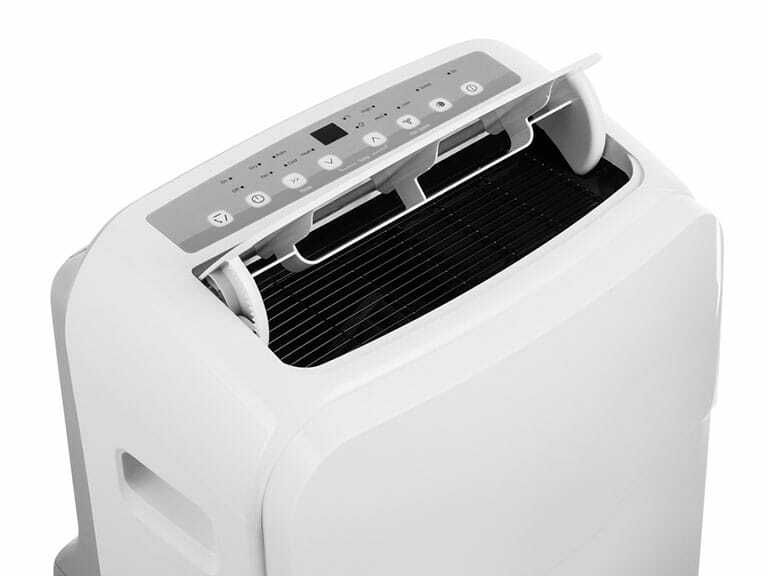 Dehumidifiers come in a variety of sizes with capacities ranging from 0.5 litres to 20 litres. What size you should buy depends on where you plan to use your dehumidifier. Ready to choose the perfect dehumidifier for you? Read our guide to the Five best dehumidifiers.